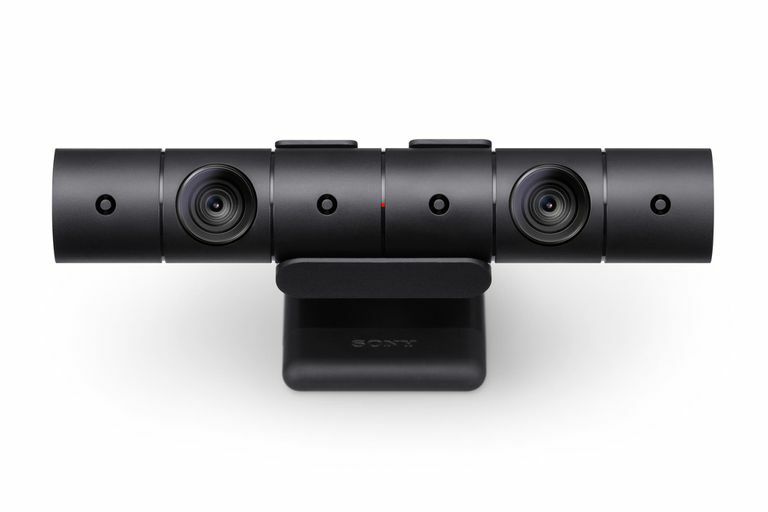 If you're a PlayStation 4 owner who wants to stream the latest games on Twitch or explore other worlds in virtual reality, you're going to need a PS4 compatible webcam, such as the PS Camera. With the peripheral, you can teach your console to recognize your face, use voice chat to issue system commands or chat with friends, broadcast your gameplay, and more. Connect the PS Camera to your PS4 console via the AUX Port in the back. If your PS4 isn't recognizing the camera, disconnect its cable, then reconnect it. If that doesn't work, try turning the console off and on again. Place the camera on a level surface and have it face the play area. Adjust the angle by holding the right end in place, then gently twisting the body until it's where you like it. If you want to use facial recognition to log into your PS4, you'll need to store your facial data on the console first. Only one face can be stored per profile and only the most recent face data stored is used. Adjust the lighting in the room or change your camera's angle so it can easily identify you. Make sure you're logged into your PS4 profile. Go to Settings > Login Settings, then select Enable Facial Recognition. To update or add new data, go to Settings > Login Settings > Face Data Management > Add Face Data. At this point, the camera will attempt to search for and highlight your face. Once it identifies you, follow the on-screen instructions. While in a game, press the Share button on your Dualshock 4 controller, then select Broadcast Gameplay. Choose which streaming service to broadcast on, either Twitch or YouTube. Create a new account or log into an existing one. To use your PS Camera and enable picture-in-picture mode while you stream, select Include Video from PlayStation Camera under the Broadcast options. If you want to use voice chat as well, select Include Microphone Audio in Broadcast. Once your PS Camera is connected, you can use it to chat with friends during multiplayer games even if you don't have a headset. If you plug in and use a headset, it will become the default voice input device instead of the PS Camera's microphone. Make sure voice chat is enabled for the game you're playing. Speak out loud while playing to chat with teammates.